A Jose Baxter pass into the path of substitute Hallam Hope in the 89th minute who then kept his composure to slot coolly past keeper Jay Lynch and off the post to give Everton the points. 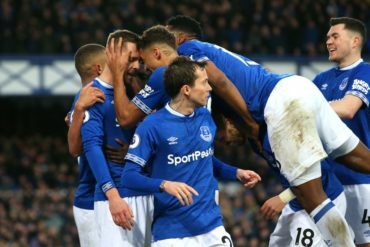 Everton were second best in the second half to a very determined Bolton side but were guilty of not doing what mattered and putting away their chances. The first half was very uneventful although Everton did have the ball in the net midway through the first half as Lynch failed to hold a Baxter free kick and Vellios put home then to be denied by the assistantâ€™s flag. Vellios was denied with a great save from Lynch only seconds into the second half. 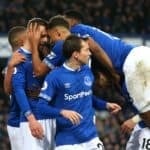 The second half was more of a lively nature as Bolton showed more bite as Everton seemed to ride their luck. The hosts were attacking down both flanks but the service was let down with the forwards failing to capitalise on their assistance. Obedayi and Odelusi had opportunities to put the game to bed for the hostâ€™s but on the counter Hope punished Bolton late on which came too late for Bolton to respond. Courtesy of GOT forum member Alan Ball.